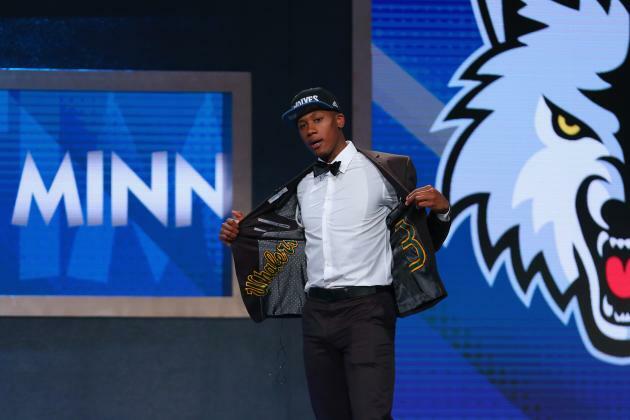 I have a lot to write on Kris Dunn and having his dream come true of being drafted into the NBA, but let’s break it down into sections shall we. Let’s back it up a little with to begin and reflect back on his time at PC. Kris Dunn will go down as one of the greatest players in Providence College basketball history, that’s a fact. But more than that, he may be the biggest step in the direction of the program as it showed that Coach Ed Cooley was able to attract a top of the line recruit to his program. Not only that, but he took Dunn right out from under a National basketball powerhouse like UConn’s nose and swayed him into attending a much smaller school in PC. That’s why, when people wonder if Cooley and his staff are wasting their time courting Top 100 High School talent like a Wenyen Gabriel (who ultimately choose Kentucky) and then being spurned at the last minute for a much bigger program, you can point to Kris Dunn and show that it only takes the one time for it to work out in your favor for it to be worth it. Also, if you look at how many college players are transferring during their time in college, having that relationship with a player can really help in being his fall back if things don’t go as planned where he is. Just look at Kyle Wiltjer going to Kentucky, falling into the shadows of their depth chart, and picking things back up at Gonzaga. Heck, even look at Carson Desrosiers, the PC big man who went to Wake Forest and then played his final two years at Providence. You never know what’s going to change in a young kid’s mind, so having good relationships out there with a lot of different players can’t hurt. Even word of mouth between players can give you the extra edge sometimes. Anyway, that was a little bit of sidetrack on recruiting rather than Dunn’s legacy at PC, so let’s get things back on track. Not only the fact that Dunn was a McDonald’s All-American who came to Providence, but that he came back for his Junior year (Senior year academically) after being projected as a late lottery pick last year speaks to both his high character and focus. He wanted to come back to work on the weaknesses that he believed he needed to strengthen in order to be successful in the NBA, and he also wanted to graduate from PC to be a good example to his younger sisters and show them that athletics isn’t everything. He accomplished both of those things this past year. His coming back also shows how strong his relationship with Ed Cooley was, and that kind of respect speaks volumes about both men. I’m not going to lie, being a Boston Celtics fan, I was hoping that the Celtics would take Dunn at #3, and then package Marcus Smart in a deal for the Bulls’ Jimmy Butler. Smart and Dunn would have been a little redundant in Boston’s very crowded backcourt although I think Dunn can do everything Smart can, and has a higher ceiling because of his athleticism and length. But, once that fell through with the Celtics drafting Jaylen Brown out of the University of California, I was crossing my fingers that Dunn would come off the board soon after. 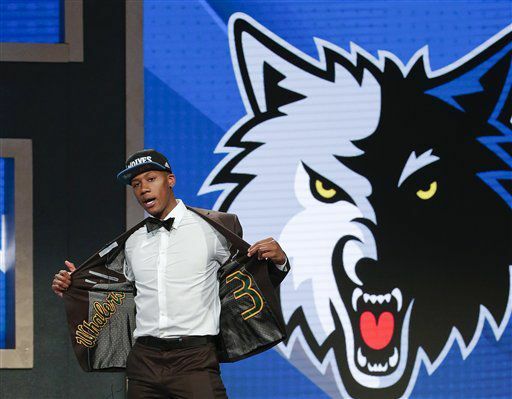 It didn’t take long, as two picks later, the Minnesota Timberwolves swooped him up. The Friars have had 5 other players selected in the first round, outside the Top Ten with Erik Murdock (#21 in ’91), Dickey Simpkins (#21 in ’92), Eric Williams (#14 in ’95), Austin Croshere (#12 in ’97), and MarShon Brooks (#25 in ’11). Ben Bentil (who I’ll be writing about later) also got drafted in the 2nd round of the 2016 NBA Draft to the Boston Celtics, so at least I got a consolation prize on my Green Team. With Bentil being taken in the 2nd round, it marked the 10th time that two players from PC were taken in the same draft, although many of those early drafts were many more round than what the current state of the two round draft is. If you wanted to go by having multiple players drafted in only the 1st or 2nd rounds, then this would technically be only the 5th time that has been done at PC. 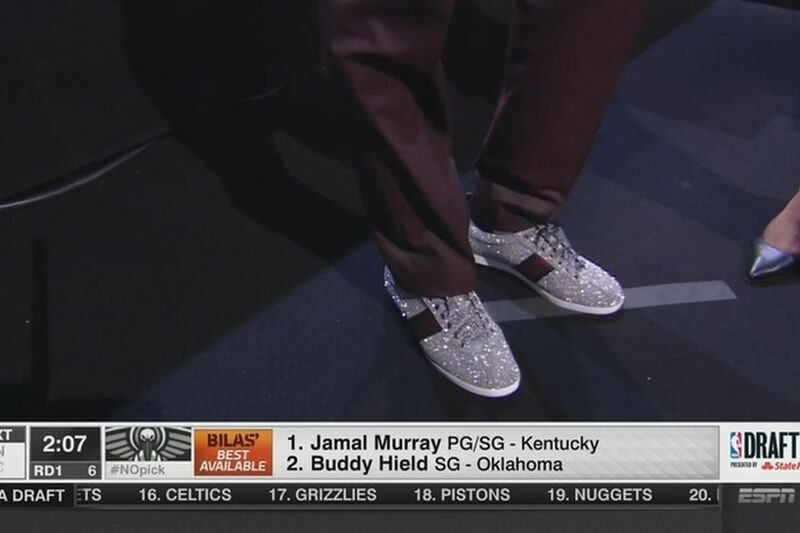 As for the all-important Draft Night outfit, Kris, along with Buddy Heild, was rocking the JC Penny suit (don’t like it…LOVE it) for Draft Night. 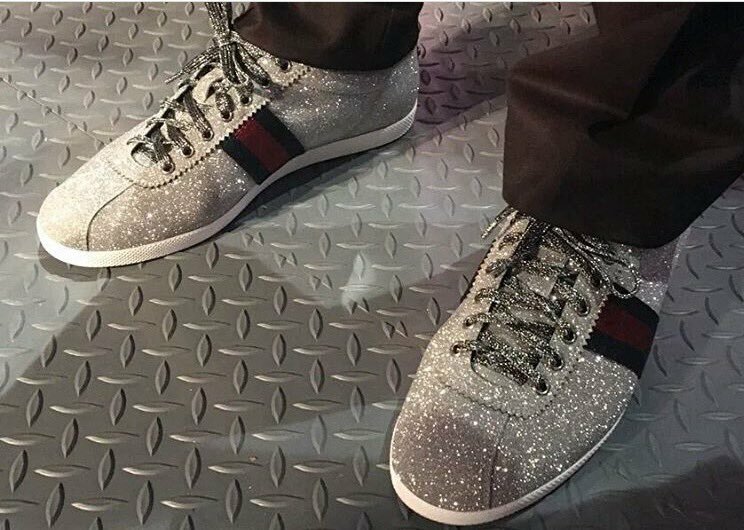 But, unlike Heild, Dunn was complimenting the threads with some flashy Gucci kicks. 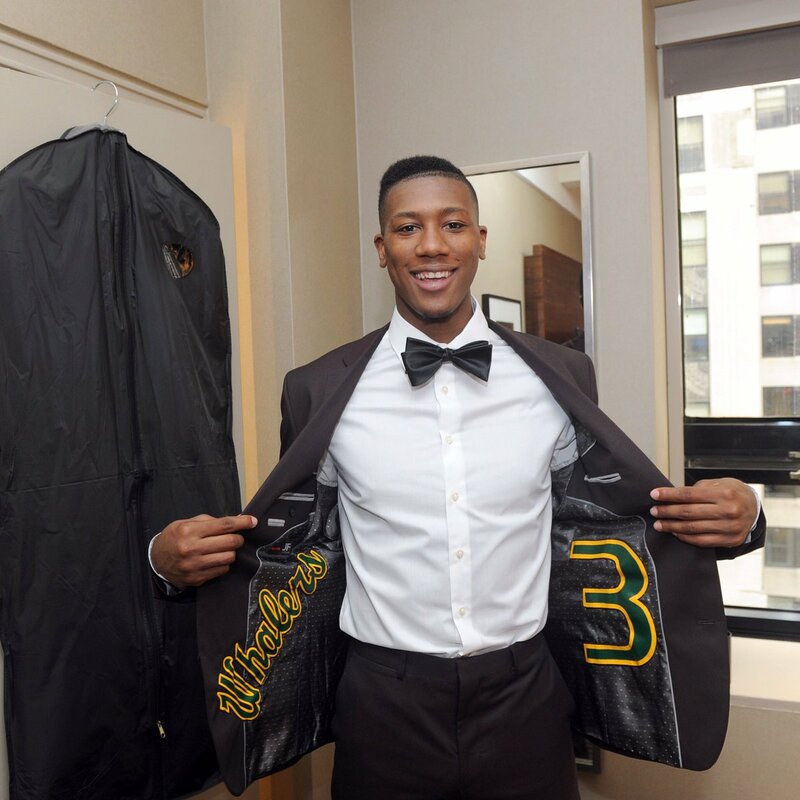 As for the interior of the suit, Dunn had his New London High School team name and number sewn into the interior to represent how much both the school and community of New London had to do with his development and maturation growing up. The Timberwolves are extremely thin in the backcourt. Wiggins will most likely be moving to the SF position full-time now, so we can cross him off the depth chart of guards. Ricky Rubio has started at point guard in every game he was healthy for over the last 3 years. Of course, with injury, that only equates to an average of 60 games a season. Rubio is still just 25, even though is going into his 6th season in the NBA, but his field goal percentage continues to be a mammoth-sized problem. His last five years have seen him shoot 35.7%, 36.0%, 38.1%, 35.6%, & 37.4%. That’s a career average of 36.8% from the floor…for his CAREER. On the plus side though, he is a superb passer and a thief on the defensive end. He has been in the top 10 in assists per game, every year he’s been healthy. I can see Dunn playing off the ball at times with the T’Wolves, much like he did with Kyron Cartwright running the point at PC last year to free him up to become more involved in the offensive flow of the game rather than the be-all-end-all focal point. I can envision Rubio enveloping the role of Rajon Rondo on the Celtics teams with Garnett, Pierce, and Allen. Distribute the ball, rack up the assists, and play good defense. Now that Minnesota is continuing to acquire talent around Rubio, he can ease back into a pure facilitator role on the team. And it doesn’t hurt to have the assistant coach of that team taking over for this one. Zach Levine is improving each season and is crazy-athletic but is probably more of a combo guard. His shooting improved a lot from his first season into his second season in the League last year, so that’s a telltale sign that he’s working on his game. He led a lot of the 2nd Unit squads at the PG position but will most likely see almost all of his time at the 2-guard spot with Rubio and Dunn manning the floor General spot. Tyus Jones will be the 4th guard on the depth chart and fulfill the hometown hero role, being from The Gopher State. Tom Thibodeau could quite possibly be the best coach for this particular team. A very young and athletic squad who excels at defense playing for a defensive-minded coach. The Rubio-Dunn-Wiggins combination guarding wings and guards is something that they’re going to rely heavily on to turn their defense into offense. 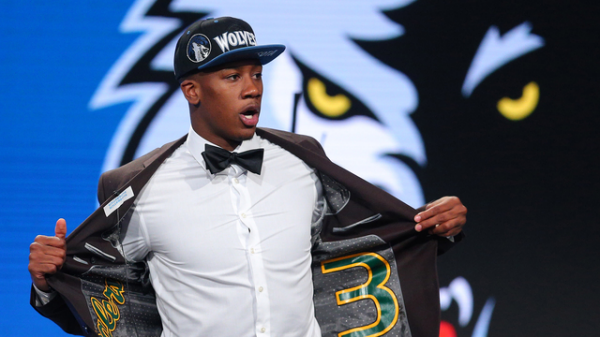 The built-through-the-draft philosophy of this Timberwolves team reminds me a lot of the Thunder from a couple of years ago…and hopefully for Dunn, they can continue to trend that way going forward. 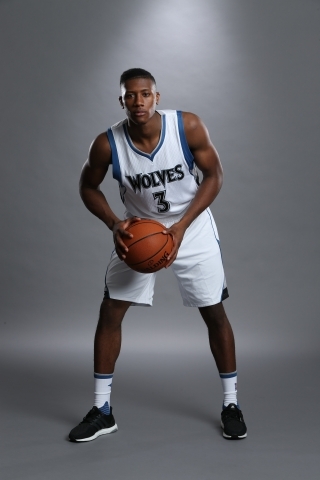 Fortunately for Kris Dunn, number 3 is not taken on the roster, so he should be able to snag that bad boy up. There’s already some team photos of him wearing the 3, so now the question becomes…what color jersey do I want. I’m leaning towards the away jersey but I think I’ll need to take a look at the alternates they have just to be sure. 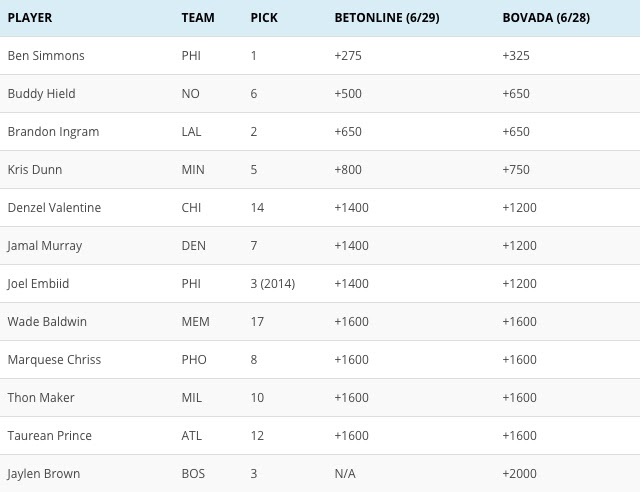 Per Sports Insights, Kris Dunn has the fourth best odds to win the Rookie of the Year Award. 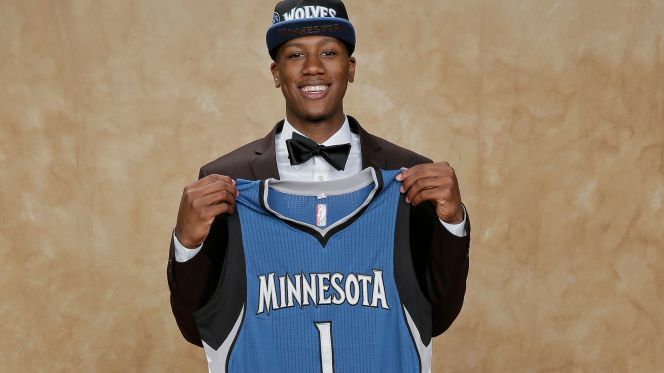 If Dunn were to win, the Timberwolves would have the last three Rookie of the Year winners in Wiggins, Towns, and Dunn.